There are endless ways you can use decorative concrete to enhance the curb appeal and durability of your home's exterior, from stamped concrete driveways and patios to concrete architectural accents and roof tile (see Home Exterior Options for Using Concrete). But in addition to improving the aesthetics of your home, decorative concrete is also a great choice if you're concerned about minimizing your home's impact on the environment. You're probably already familiar with some of the green benefits of concrete as a building material, including resource efficiency, durability, and thermal mass. (See What Makes Concrete a Sustainable Building Material?). But how do you make the most of these attributes when making your design plans? Here are eight ideas for using concrete to make your home exterior more eco-friendly. Pouring concrete into the insulating concrete forms. Portland Cement Association. 1. Build your home with concrete walls. Find distributors of ICF wall systems. 2. 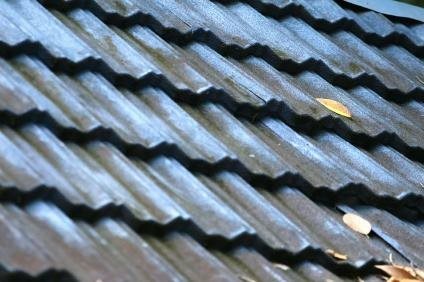 Cover your roof with concrete tiles. Precast concrete roof tiles have a life span of 50 years or longer, compared with 25 years or less for standard asphalt- or fiberglass-based shingles. If they ever do need to be replaced, the old tiles can be recycled to make new tiles or other products. Because of their thermal capacity, concrete roof tiles can also reduce your home heating and cooling costs and maintain more constant indoor air temperatures. From a safety standpoint, the tiles are noncombustible and won't burn when exposed to flames or sparks. They also are available in a variety of classic styles such as barrel, shake, and slate profiles. Source these at Eagle Roofing Products. 3. Use concrete for all your exterior flatwork. Using cast-in-place concrete or decorative interlocking concrete pavers to build your sidewalks, driveways, and backyard patios offers a multitude of environmental benefits. 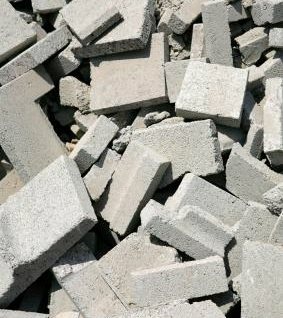 Concrete is made locally and only in the quantities needed for each project, making it one of the most resource-efficient materials you can use. What's more, installing a concrete patio rather than a wood deck saves lumber and eliminates the need for regular maintenance with solvent-based wood stains and sealers. Because of their light color, concrete slabs also have higher light reflectivity than asphalt pavements, reducing urban heat-island effects. 4. Use a cement-based exterior finish. 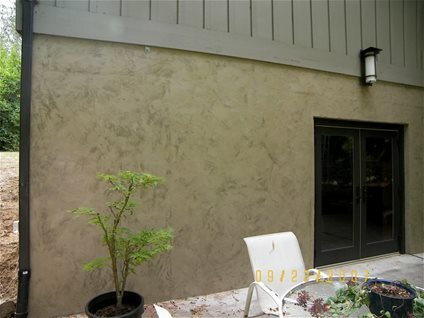 There are a number of cement-based wall finishes you can choose from to dress up your home's exterior. 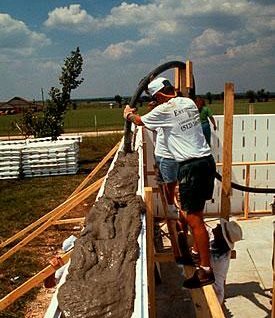 Traditional stucco (or portland cement plaster) has been used for decades as an exterior finish material for homes, but it's gaining new appreciation for its many sustainable qualities, including fire resistance, excellent weathering characteristics, low maintenance, and resistance to rot, mold and termite infestation. Another option is to cover your walls with a stampable concrete overlay, a lightweight polymer-modified decorative wall system that can be imprinted to mimic natural stone. If you like the look of traditional wood clapboard siding, consider installing cement-based cladding, a composition of cement, sand, and cellulose fiber that offers the performance benefits of stucco yet looks like wood. One example is HardiePlank from James Hardie Building Products. 5. Install a pervious concrete driveway. Pervious concrete, a porous paving material that captures rainwater and allows it to percolate into the soil, is an eco-friendly solution in areas where stormwater management and reducing pollution runoff are concerns. Pervious pavements will also channel more water to the tree roots and landscaping on your property, so there is less need for irrigation. (Read more about the environmental benefits of pervious concrete.) Your options include precast permeable concrete pavers or cast-in-place pervious concrete, made with a special porous mix. 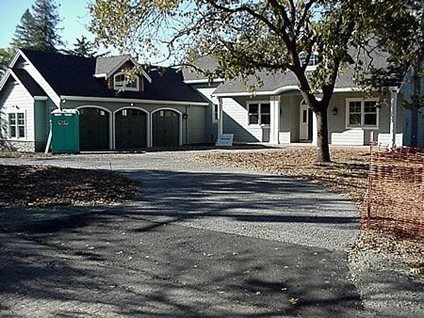 If you want to enhance the appearance of your pervious concrete driveway, you can add integral color to the concrete before it's placed or spray apply water-based concrete stains on the surface after installation. 6. Use an eco-friendly concrete mix. The predominant raw material for the cement in concrete is limestone. Although this mineral is abundant, you can conserve resources and help to recycle waste by substituting a portion of the cement with fly ash, slag cement, or silica fume, all byproducts from power plants, steel mills, and other manufacturing facilities. Learn more about the materials that go into a concrete mix. 7. Use recycled materials in your landscape designs. 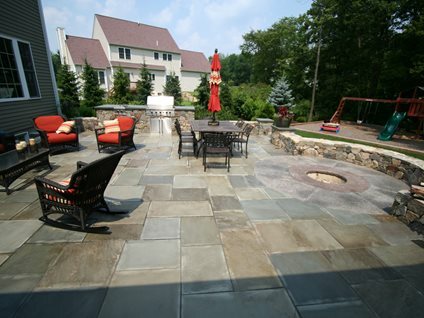 Recycling can be incorporated into just about every aspect of home landscaping with concrete. You can mix all sorts of inexpensive recycled materials into concrete to create unusual artistic effects, including broken or crushed glass, recycled aggregates, crushed seashells, and bits of scrap metal. For more green landscaping ideas, read Eco-Friendly Tips for Your Backyard Landscape. 8. 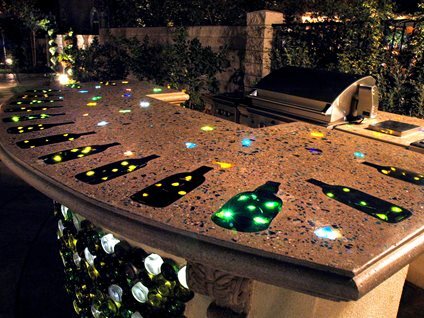 Reuse your old concrete.